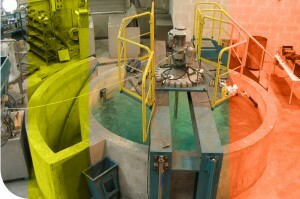 MIXEL has its own test station with several tanks, including a 50 m3 tank for real-situation testing of the physical, mechanical, and hydraulic constraints of most agitators. MIXEL and MIXEL SERVICE have received ISO 9001 version 2000 certification. MIXEL has got EN/NF 13980 approval (certificate No. 4000036/B). ABB, CEMOI chocolate, PETROBRAS Brasil, AREVA, BASF, ARKEMA, BAYER, SUEZ Group, VEOLIA Group, TECHNIP, LUBRIZOL, SNF, BLUESTAR, SOLVAY Group, SANOFI-AVENTIS, TOTAL, UMICORE Belgium... among others.